We understand that buying a swimming pool is a big decision for any family. We also know that some families take weeks, months, or even years to make a final decision. We’re okay with that. We’ll help you whenever we can, but we will never try to pressure you into a design or purchase. 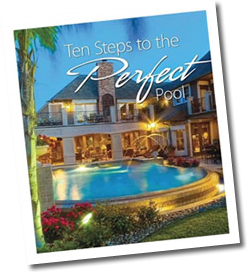 That's why we created the Amarillo Custom Pools "No Pressure Design Process." At all stages of the design and buying process, YOU are in control. We’ll proceed to the next step only if and when you tell us you're ready to proceed. Review our website, our portfolio. Make a note of any particular pools, spas, custom water features or outdoor living features that you like. If you see a pool in a magazine and book or newspaper, save a copy of that too. Telephone: We can discuss some ideas right over the phone if you like. 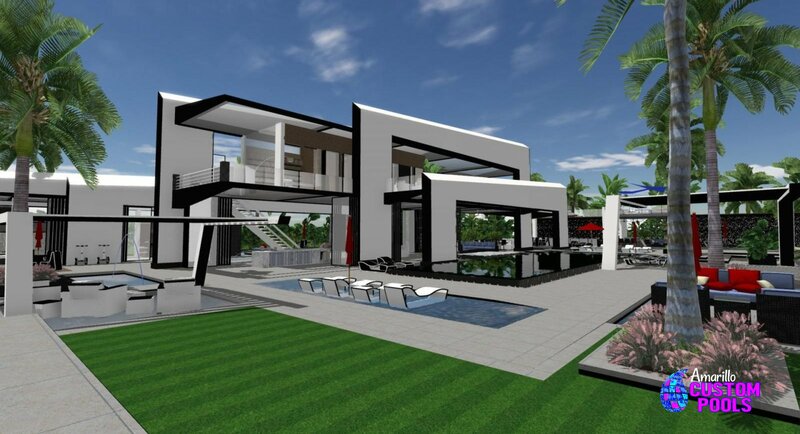 Backyard meeting: One of our designers will be happy to look at your backyard, and share some ideas with you. If you've got an idea of what you're looking for, our designers can create a custom design for you. If you have a specific budget in mind, let the designer know, so that he can recommend the appropriate features and options. You may want to add or remove or certain features or options. You can choose your tile choices, deck choices and other special features at this time. Schedule your start date - it's time to decide when you want the process to begin. It normally takes between 45 and 75 days to complete your new pool, depending on weather and the complexity of the project. 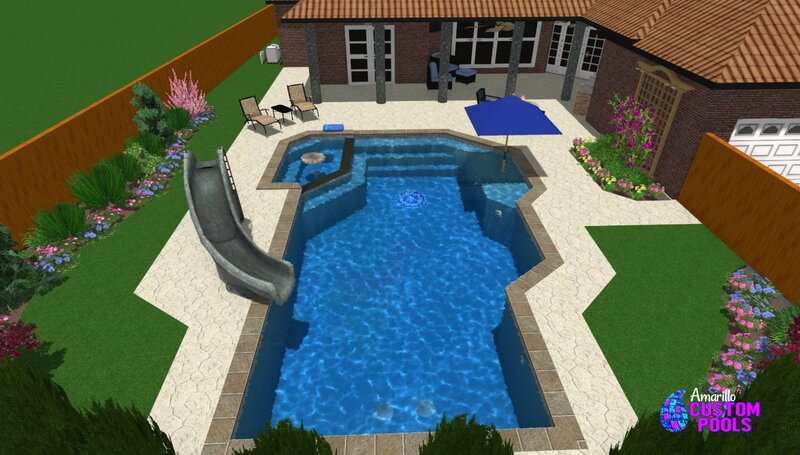 Using Structure Studios, the professional 3D pool design software, Amarillo Custom Pools has the ability to show you exactly how your pool will look in your backyard. 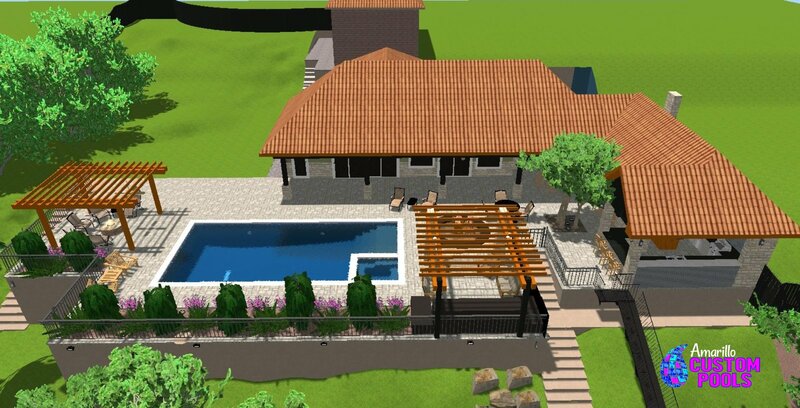 The software will clearly and accurately show you your new backyard, from how the decking will match the color of your home to how the view from your kitchen will be enhanced by the image of your pool. This gives you the confidence that every element is exactly how you want it, before construction even begins. Remember, with the Amarillo Custom Pools "No-Pressure Design Process," you’re always in control. We look forward to helping you bring your dreams to life. Give us a call at 806.376.7606‎ or fill out our online form. One of our design specialists will be happy to help you.